In this article we highlight super fab mother of the bride dresses to make you (almost) as stunning as your daughter. There isn’t a prouder moment than when you see your daughter walking down the aisle on her wedding day. And for the biggest day of her life, ​you need to be looking ​great too. When it comes to dressing the mother of the bride (MOTB), it can be just as tricky to say yes to the dress as for the bride. MOTBs have to walk a fine line to find a gown that isn’t too dowdy, nor too young, and one that doesn’t steal the spotlight from the bride. Contending with a dress code or adhering to a color pallete may also come into play. We see how this can become a difficult experience! How can you juggle comfort and sophistication all whilst respecting that all important dress code? Read on to find out. What Colors Can a Mother of the Bride Wear? As a general rule, the mother of the bride should shy away from choosing the same color dress as bridesmaids. Of course white and ivory are obvious no-go colors as well. If black is a color that you usually like to wear, this might be the time to reconsider. Black tends to be associated with mourning or funerals — you could be sending a subliminal message about what you think about the union! Best to stay clear of the above listed colors. Don’t worry, there are millions of other colors on the rainbow to choose from. If etiquette holds true, and both mothers decide that they would like to coordinate their outfits, the mother of the bride should choose her color first. She then tells the mother of the groom the color/outfit choice, and the grooms mother can then choose a dress of similar formality in a color that doesn’t clash. In the past this courtesy would have made sense, as the parents of the bride would have paid for and hosted the event. Nowadays, most MOTBs will choose the gown they want to wear regardless of what anyone else wears or who pays for the wedding. The most important thing is that you feel attractive and comfortable in what you’ve chosen. You will be in a bit of the limelight too during the big day! Good question. Many mothers lean towards buying a dress with matching, tailored jacket or structured suits in dressy fabrics. Yet not every store carries what you may want to ultimately purchase — especially when it comes to formal attire. 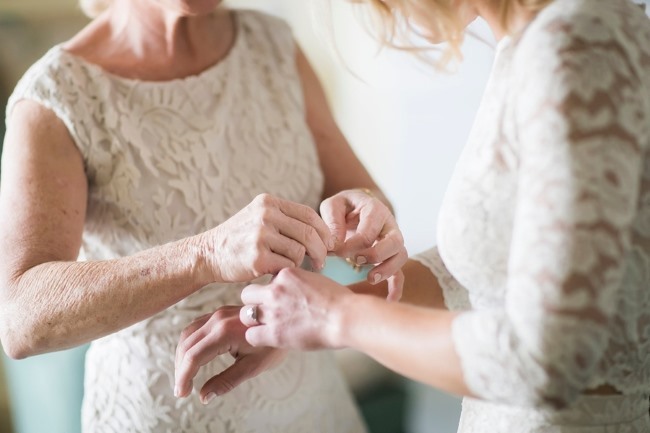 Many bridal salons carry styles for the mother of the bride, so if appropriate when out shopping with your daughter for her wedding gown, try on some dresses too. Even if you aren’t ready to seriously commit, just see what shapes and cuts you lean towards. David’s Bridal – have a really nice selection for dress pants, dresses, skirts and 3 piece suits. They currently carry over 384 dresses that range in price from $21 – $860. 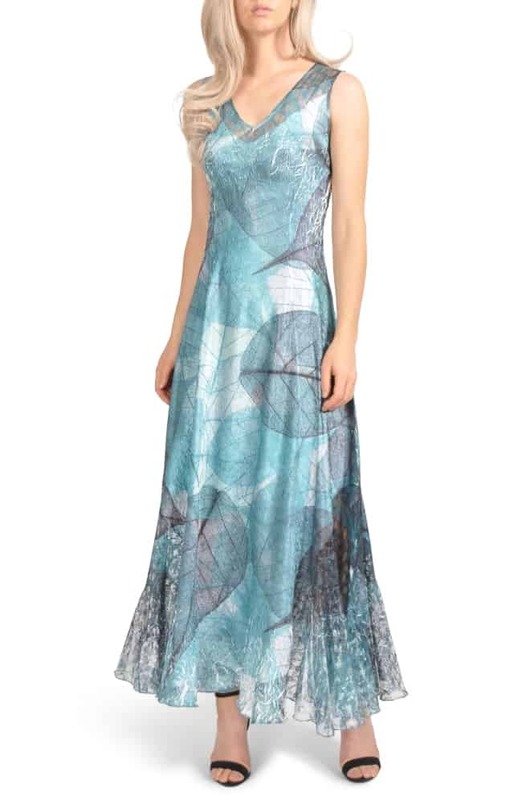 Nordstroms – has an online Mother of the Bride section with over 473 beautiful gowns to browse. Dress prices range from $88-$5000. Great place to start your search for moms of all sizes. Dillards – If you are on the hunt for an elegant pant suit set, Dilliards is worth taking a look at. 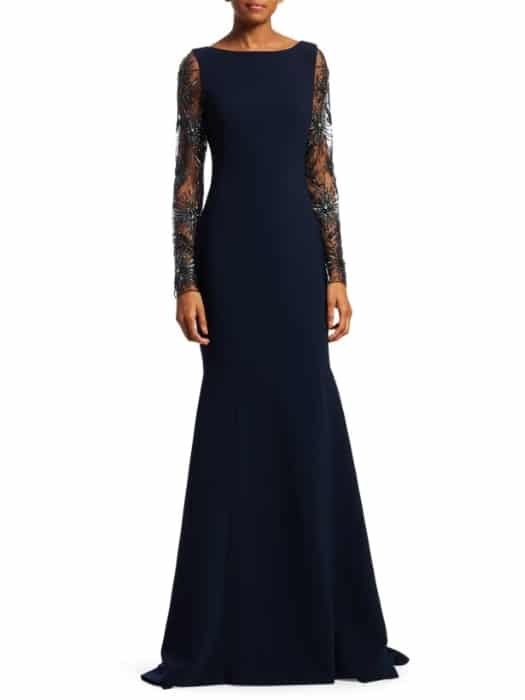 With over 1660 garments in their Mother of the Bride section, you are bound to find a beautify dress. Prices range from $25-$795. BHLDN – BHLDN (pronounced beholden) offer some really gorgeous pieces that you might not otherwise find in a department store. They currently have over 44 dresses on offer from $140-$640. TJ Maxx – Not always a guarantee as the gowns at TJ Maxx are end of the line. That means once they are gone, they are not coming back. However, sometimes you can get lucky and find an affordable designer gem in your size. Rent the Run Way – If you have always wanted to wear a designer gown and don’t ever see yourself making it to the red carpet on Oscar night, this is your moment to shine. Rent the Run Way allows you to find and rent that designer label for the night and live out your fashion dreams without the hefty price tag. Saks Fifth Avenue – Saks is the perfect department store to look at if you are needing a more formal piece. They have a specific Mother of the bride section with 380 different options. Their gown prices range from $136-$12500. How can you juggle comfort and sophistication all whilst respecting that all important dress code? In this next section we’ve broken down the mother of the bride’s dress code formality, to know exactly what look and feel you should go for when shopping for a gown. There isn’t a prouder moment than seeing your daughter walk down the aisle on her wedding day. And for the biggest day of her life, ​you need to be looking ​great too! White tie is a rare dress codes these days. Nevertheless, if you are invited to a white tie affair then you will need to look for a formal floor-length evening gown. No exceptions. Time to accessorise with your best jewellery, an elegant clutch, and heels. ​The next formal wedding dress code is black tie, which usually signals an evening event. As mother of the bride you will have a few more options with this dress code. You can go a bit dressier and choose a floor-length gown, or if you feel more comfortable in a smart pant suit that would be appropriate as well. A dressier cocktail dress is also acceptable. For shoes choose either dressy flats or heels. 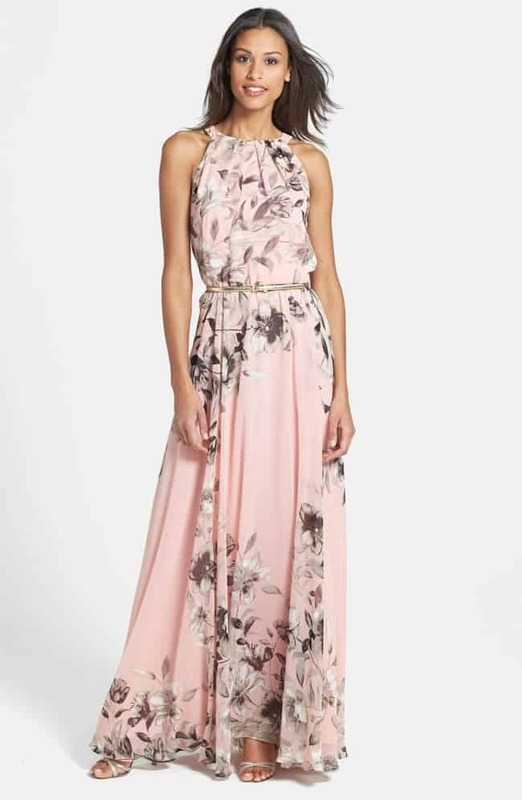 For a petite mother of the bride, a knee-length cocktail dress is a great option. It makes you look classy and is practical for the day of festivities ahead. ​The key to cocktail attire is sophistication and color. A gorgeous cocktail dress gives elegant movement on the dance floor, or for walking up the aisle. If you feel more comfortable in a elegant pantsuit, that would be appropriate as well. However, floor-length gowns are no longer appropriate for cocktail attire. Finish off with a statement clutch and keep jewelry low maintenance. ​If you are lucky enough to be heading for an exotic destination for the big day, you’ll need something light yet chic for the occasion. Look for cotton sundresses and pair the dress with pretty wedges or sandals. An outdoor wedding likely means the sun will be beating down — consider a sunhat. If you are unsure whether the dress you’re eyeing is dressy or not, better to err on the side of caution and go a little dressier. Casual wedding attire indicates that the wedding will be laid-back, especially when it comes to attire, and that it will likely be held outdoors. Tank tops, jeans, and shorts will not appropriate. ​There’s something quite romantic about a backyard casual wedding. It brings all the couple’s nearest and dearest together and is usually less hassle. This should totally reflect in your dress — floaty, carefree fabrics, and bohemian-inspired designs are perfect! Dressy sandals and wedges will complete the look perfectly. Stay away from sneakers and sandals. If you are thinking about wearing heels, take into account any grass that you might encounter. When shopping online keep in mind your shape and what looks good on your body type. Don’t stray too far from the usual. You want to find a dress that is special and makes you feel confident, but that doesn’t compromise comfort. It’s a long day, and one you’ll want to give your full attention. It is nice to not feel that you are constantly needing to fidget and fix your dress. We hope you have found this guide helpful. Please leave us a comment if you have any questions!